To make the working environment safer when using ladders. To reduce the chances of having an accident when working from ladders. To work from a ladder which is leaning against another surface. You can use Ladder Grips against most interior and exterior surfaces. How much more secure will be ladder be using Ladder Grips? How do Ladder Grips differ from other ladder safety devices on the market? Most other ladder safety devices focus on securing the feet of the ladder. Ladder Grips secures the top because, if the top is secure, the feet are unlikely to move either. Can Ladder grips be left on the ladder? Yes, Ladder Grips can not only be packed away into your tool box, but can also be left on your ladder. Do you sell Ladder Grips outside the UK? 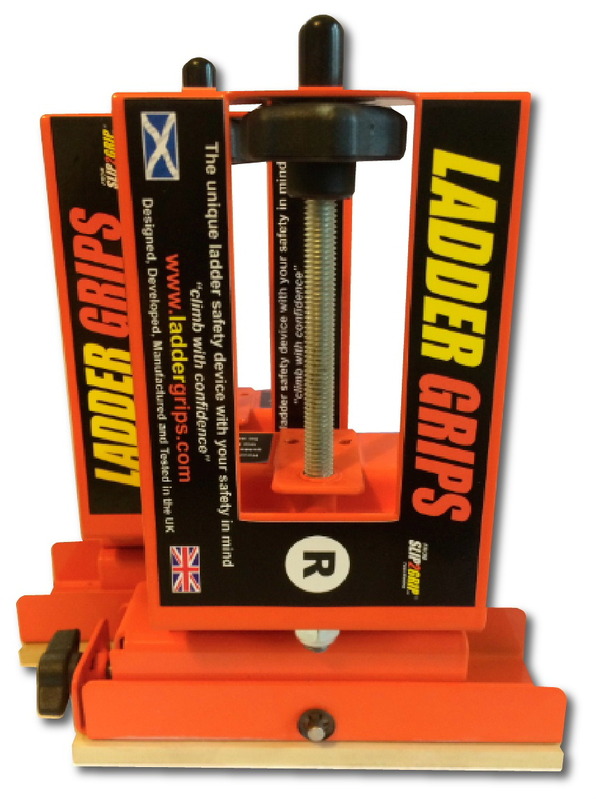 Yes, you can buy Ladder Grips online if you are resident in the UK only. We can arrange to ship worldwide. Click here for details.